New York, New York (October 15th, 2014) — Leica Camera continues to celebrate 100 years of photography with the limited Leica X “Edition Moncler”. The new edition was designed in collaboration with Moncler and infuses both brand’s values of quality design and technicality. 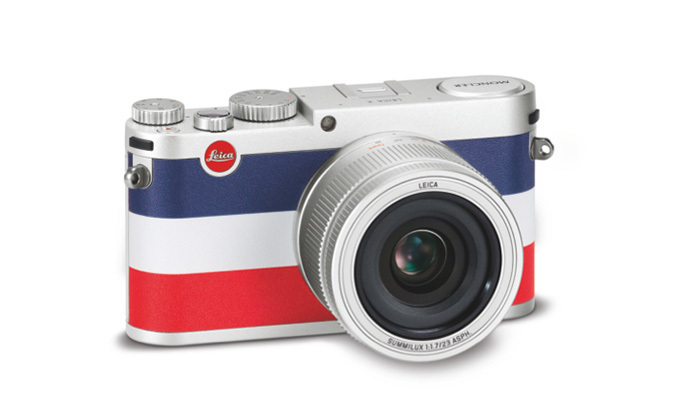 The aesthetically pleasing and highly technical camera pays homage to the French origins of Moncler with a premium leather trim in a three-color scheme of red, white, and blue. The silver version of the Leica X is appealing to both photographers and fashion forward camera users. The exclusive Leica X ‘Edition Moncler’ is strictly limited to 1,500 units for the entire global market. The additional camera case was designed in accordance with Moncler’s world famous down jackets. The matching genuine leather camera strap bears the inscription, Leica & Moncler, highlighting the collaboration. The Leica X ‘Edition Moncler’ will be available from Leica Stores, Boutiques, and Moncler flagship stores, beginning October 2014. This exclusive camera was first unveiled during the Frieze Art Fair in London at the opening of Fabien Baron’s exhibition, “Monuments”. The opening was hosted by Leica and Moncler at Sotheby’s on October 14th. Fabien Baron, Vanity Fair’s “most sought-after creative director in the world”, highlights the exemplary collaboration between Leica and Moncler with his exhibition. Baron’s photographs, captured with the Leica S medium-format camera system, show the spectacular ice and snow-bedecked landscapes of Greenland and express the fascination of nature with which Moncler is deeply involved. The technical specifications of the Leica X ‘Edition Moncler’ are identical to those of the standard production model of the new Leica X camera. The camera features a professional APS-C-format CMOS sensor with 16.5 megapixels (effective 16.2 megapixels) with a Summilux 23 mm f/1.7 ASPH. 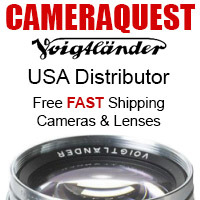 lens, increasing creative freedom and guaranteeing exceptionally brilliant pictures. It also offers a wide range of camera functions, an intuitively simple handling concept and the iconic, premium attributes of Leica product design. The Leica X provides everything an amateur or professional photographer needs for commercial, small business or family use. I can undesratnd the poetry of Leica, but not the reason. It is not liking being controversal, just a felling. Sorry. Hideous! You can buy a stylish Lego camera instead.Luke put it very well.The Hello Kitty Japan version in pink and white must be ‘ in development’ already.That might even be a step up from this colorway. It’s probably worth pointing out that those who don’t like it can by the standard X, of which there is an indefinite supply. Cheesier than a Frenchman in a Fromagerie! Damn – I was all set to buy 2000 of these. Aesthetically pleasing….., appealing to photographers and fashionistas…….what wonderful words. And I just bought a Moncler sweater at an outlet, sigh. Nice colours for a hand grenade. Leica we have been friends for a longtime and good friends tell you the honest truth. This jacket looks ridiculous on you. You should focus more on adding evfs in your products and less time with silly fashion. Why design a beautiful looking camera and then cover it with a trashy design? This’ll do nothing for Leica’s brand reputation. Price is £1950, or about $3000. It would be sad to see Leica become a fashion accessory as opposed to a camera company. I’ve no issue with fashion per se… If people want to spend £900 on a Moncler jacket, go right ahead. But if Leica becomes even more exclusive (ie expensive) it might push them totally out of reach of mere mortals who aspire to own a piece of kit that can deliver a unique experience. Reducing Leica to a mere status symbol would be a travesty IMO. Too late. It will still take magnificent pictures in the right hands, no doubt, but then, so will the X100, A7 series and the new iPhone. With the price of the normal X (113) you could buy a Fujifilm X100T plus a Ricoh GR and you can have some more money on accessories. With the price of this Moncler (whatever) version you could do as above plus maybe a nice trip to Las Vegas. Looks like those who use Moncler to pretend they are mountaineers while sitting in a city cafe, can now use that Leica to pretend they are photographers at the same time! It is really sad to see how expensive cameras seem to become fashion accessories. Leica’s marketing strategy sometimes reminds me of Swiss watch manufacturers, who after the introduction of quartz watches managed to establish old-fashioned mechanic watches as luxury items. They should follow this up with a “reign of terror” edition. Just add blood splats and tack on another $250. No. Just no. To reiterate – no. Swap Red and Blue and you have a Russian flag, potential 200 million customers. damn . . . Nostradamus was right agai ! Maybe a brand’s reputation varies from country to country. Where I live I wouldn’t want to be associated with Moncler. It’s a bit like wearing a Gucci cap. I didn’t know who Moncler was, and I’m none the wiser now, save if this is a tribute to them, then nuff said. Ha Terry! Let’s say their polos are worn by the same sort of people that wear certain brands that got into disrepute in your country. Have you ever seen anything so ugly? Even Hasselblad would be jealous of its ugliness. I guess rich elites like ugly these days. i can’t believe it ! OUCH !!! BAD BAD TASTE !!! If it wasn’t official before….it’s super official now. 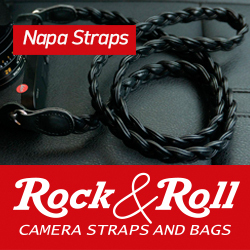 Welcome to the “lifestyle brand”…right along side Coke, Harley Davidson and Ferrari! In Luxembourg our blue is a bit lighter, so it will not be mistaken for an upside down flag. However, while I wish our sense of taste were a bit better too, unfortunately my observations indicate that some of Leica’s target market for this may be resident in the Grand Duchy. Looks like Tommy Hilfiger to me. This would be great for discreet street shooting!